Life is getting better for 12-year-old Martinez boy Aaron Hern. It was just 17 days ago when he was in Boston to cheer on his mother, Katherine Hern, at the Boston Marathon. He was near the finish line when the two bombs went off and was badly injured, needing a week's stay in Boston Children's Hospital to remove shrapnel from his legs. 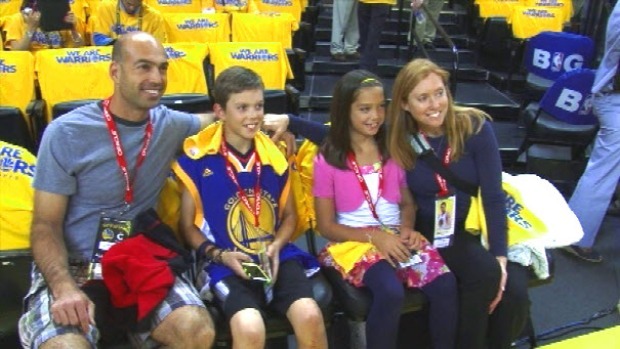 His story caught the eye of the Warriors organization, which made Hern an honorary guest for Game 6 on Thursday at Oracle Arena. There will be a true Warrior in the stands tonight when Golden State faces off against Denver in Game 6 of their playoff series. And that special someone is Aaron Hern, the young Martinez boy who was badly injured in the Boston marathon bombing. "It's pretty exciting because... it's only my second game and it's pretty cool because of the things I've been able to do," Aaron said in his first public comments since his injury. "It's cool to be here right now and see all the warm-ups and everything." Hern sat court side and met several players before the tip-off of the potential close-out game against the Denver Nuggets. "Well it's a great blessing and a credit to this outstanding organization because he's a dynamic young man coming from a great family and if we can make life a little bit easier and celebrate that he's here, it's a way of saying thank you," Warriors coach Mark Jackson said. 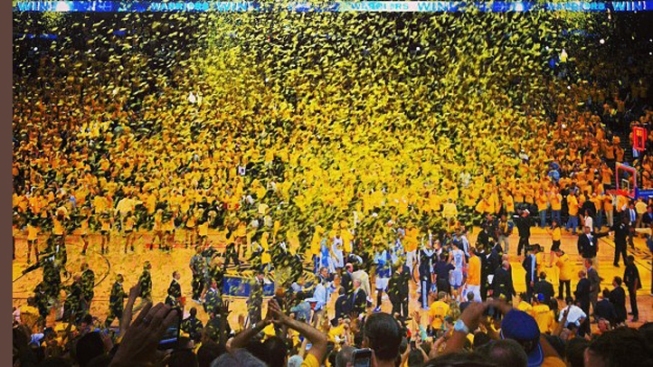 "He loves his Warriors." VideoMartinez Boy's Injury "Looks Like War Wound"
Hern's father, Alan, is the football coach at Alhambra High.